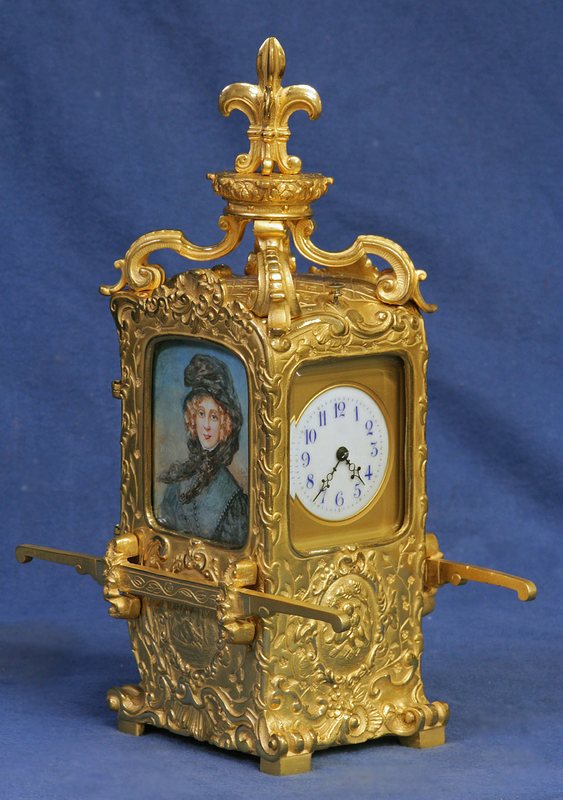 c.1895 French Sedan Carriage Clock with Miniature Portraits. 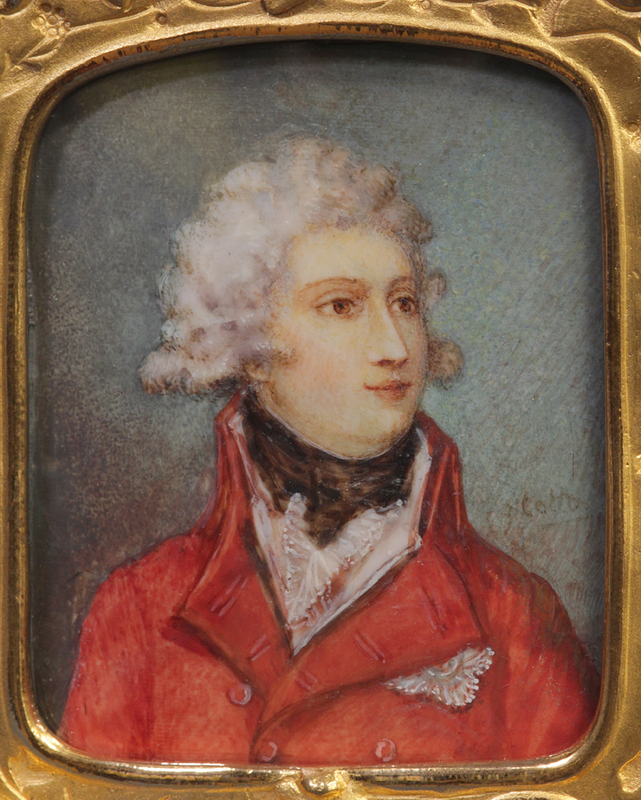 The large cast Rococo style gilt-bronze sedan style case is elaborately decorated with scrolling foliage, both in relief and engraved, and numerous scenes featuring cupid. To the sides are the carrying handles and above sits a fleur-de-ly supported by four decorative rocaille. 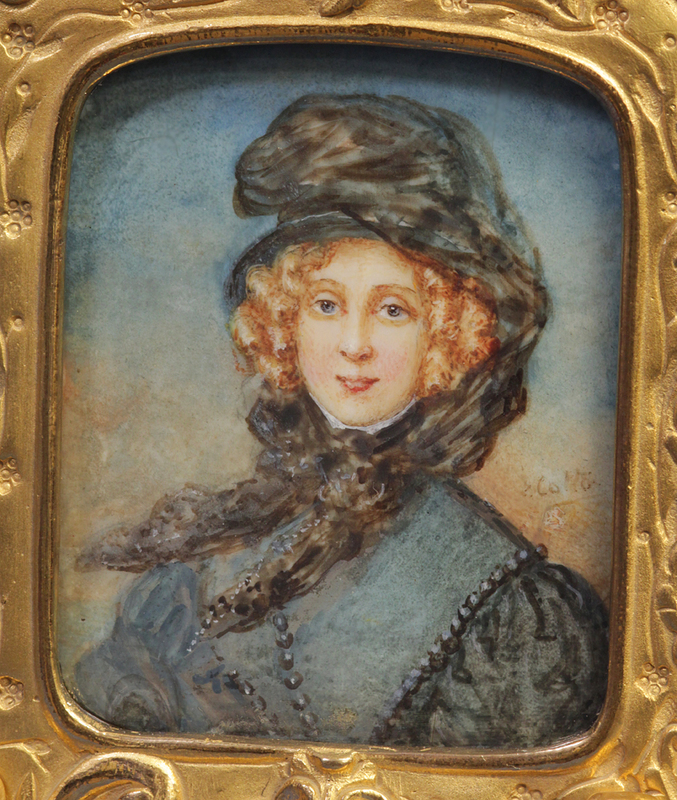 Instead of the usual glass sides it features wonderful miniature polychrome portraits each signed ‘Cotton’. 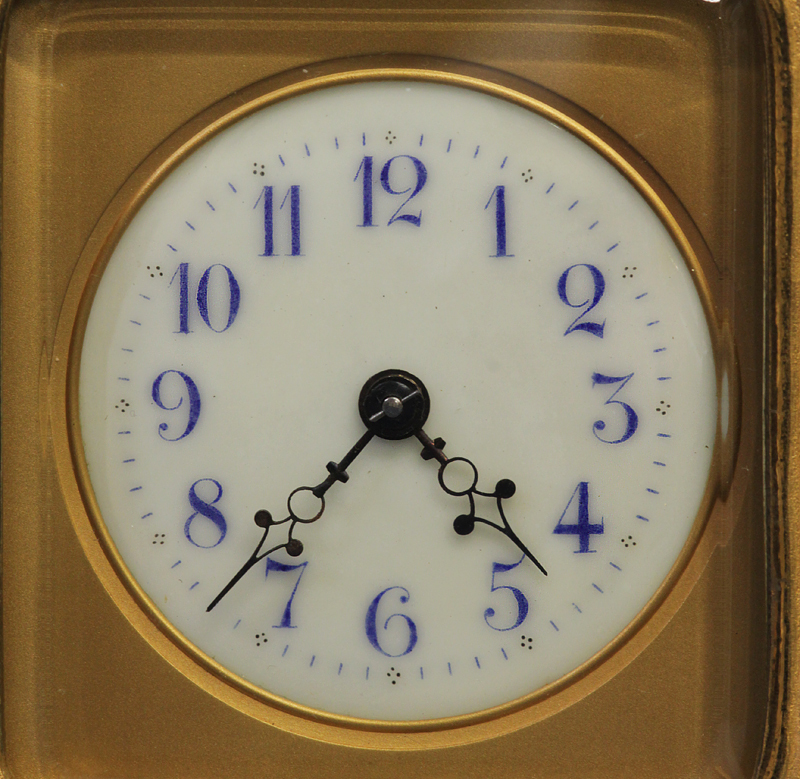 The round porcelain dial has blue Arabic numbers for the hours, decorative steel-cut hands, a gilt-bronze mask and beveled glass. 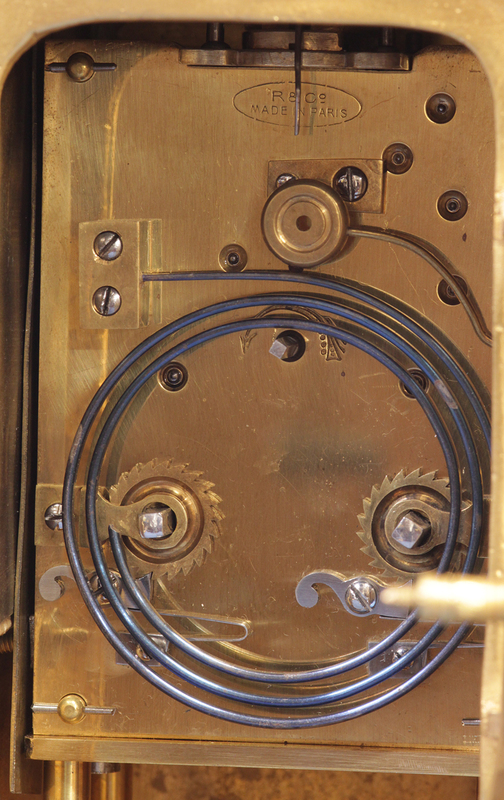 The eight-day time and strike movement is wound and set off the backplate, retains the original lever escapement, strikes on a coiled gong, has a repeat button out the top and is stamped ‘R & Co. Made in Paris’. 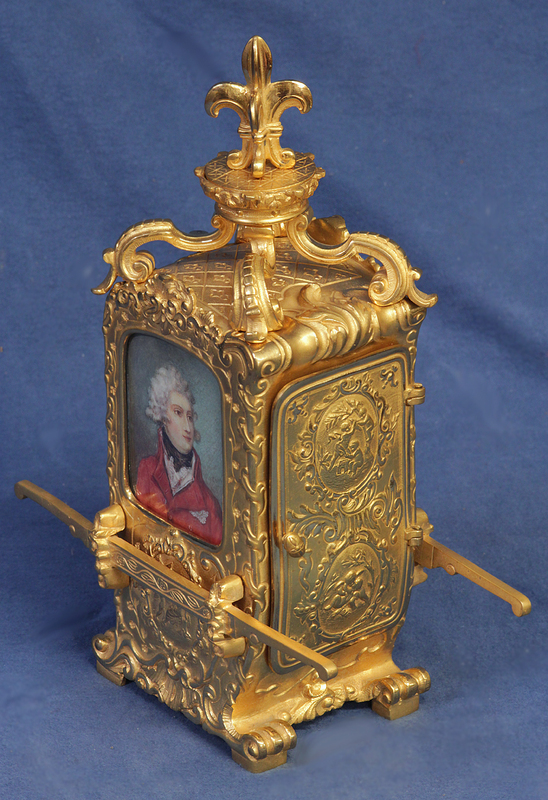 Although sedan form carriage clocks are very rare in general, this example also has two wonderfully modeled and executed portraits and a repeat mechanism making it a premier example of French carriage clock case design. According to Allix, Richard and Co. was originally the London branch of Lemaitre & Bergmann originally founded in 1848. 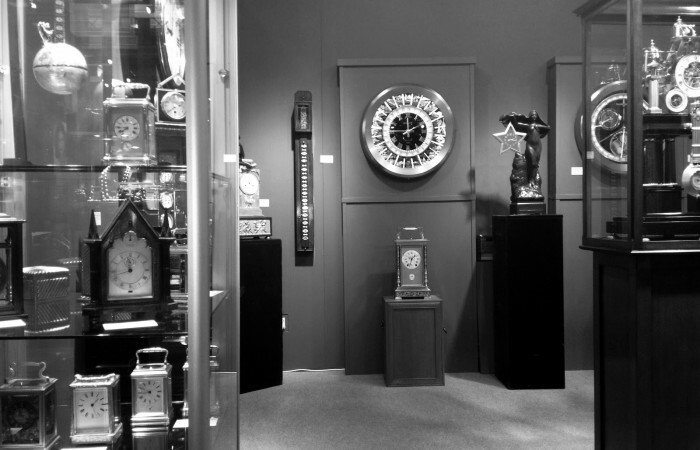 Known for exceptional quality they specialized in selling french style clocks in England and a variation of the business was still operating in 1974.